Discussion in 'Gambling and Betting Forum' started by JimGunn, Feb 1, 2019. I love 44 year old former pro boxer and UFC bonus collector Chris Lytle at -250 vs 8-7 MMA fighter JC Llamas nicknamed "The Leg Lock Monster" in this 175 pound bareknuckle bout. Also maxed the Under 2½ at +228. Chris looked amazing getting a quick KO in his last Bare Knuckle FC bout. Added more at -268, as this is one of the best lines of the weekend. 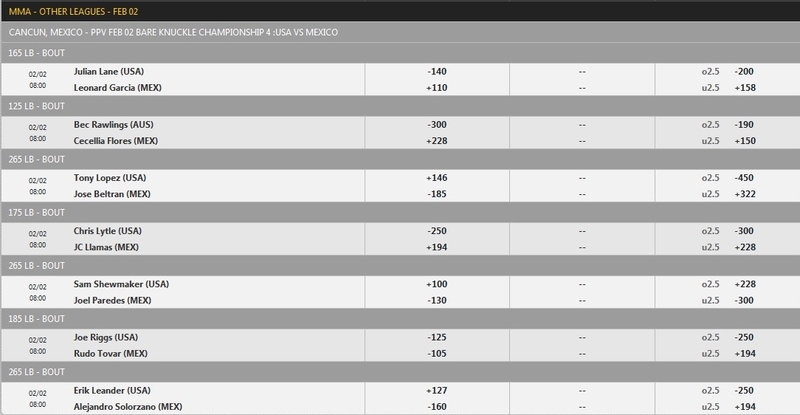 Also heavyweight tournament runner-up Sam Shewmaker- who is huge- at +100 evens vs a short notice replacement Mexican with one MMA fight on his record named Joel Paredes? I'll max that one time for $250 as well. 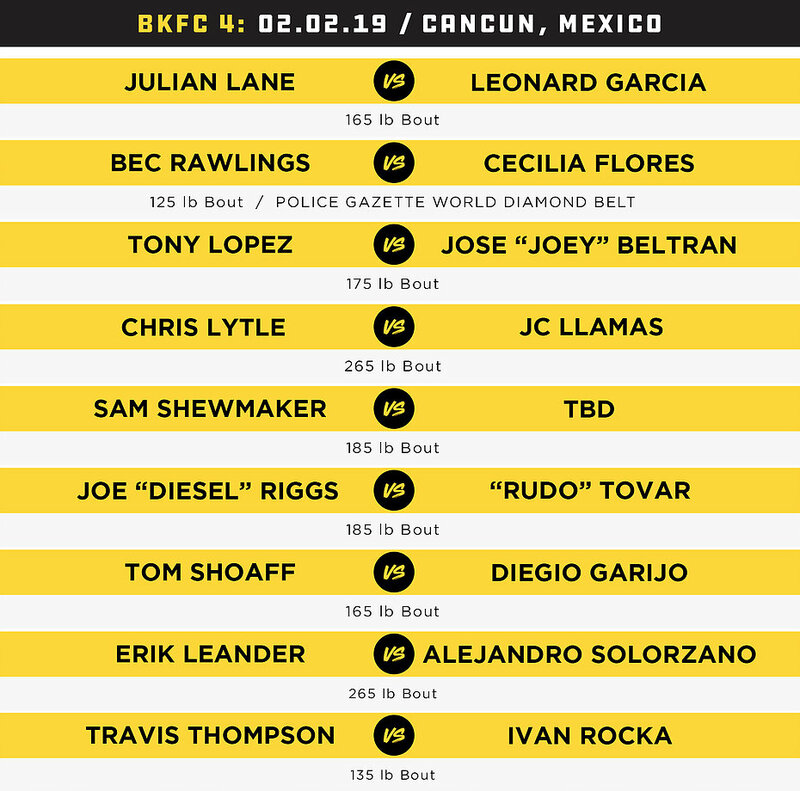 The preliminary bouts of this weekends card will be streamed on the Bare Knuckle Fighting Championship’s Facebook page, starting at 7:30pm EST, while the PPV portion of the night starts at 9pm EST. Hey jim, you might try to get them to void the beltran under because they listed him as jose Beltran instead of joey. Well, Beltran's name is actually José on Wikipedia. Besides, they paid me for another bout where the opponent changed.